Most late Deco shades are the simple mass produced, one step, quicky shades...a bowl. 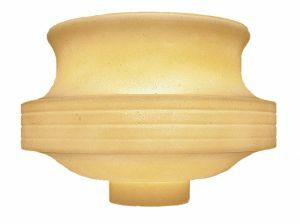 This quality shade takes three steps to produce and is of much higher quality shade than “the bowl”. 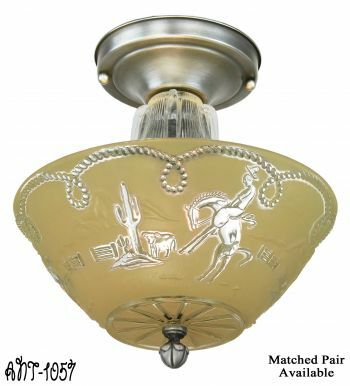 You'll love the authentic color, a warm cream that's flattering to every metal finish. 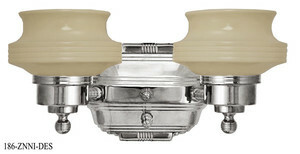 Note the fine line design so typical of Streamline and Art Deco designs. 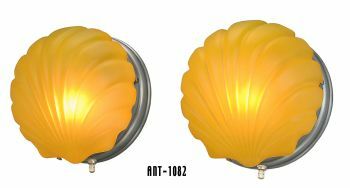 Note the change-up in design surfaces from flat sides to curves and then the flare-out top. 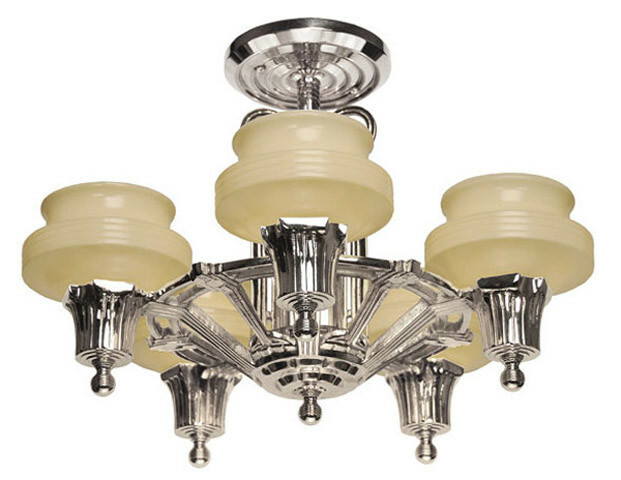 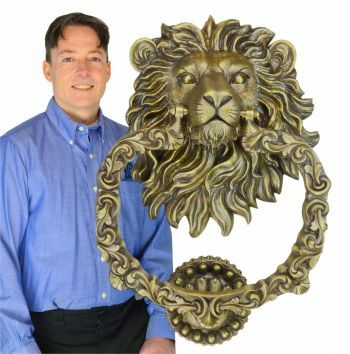 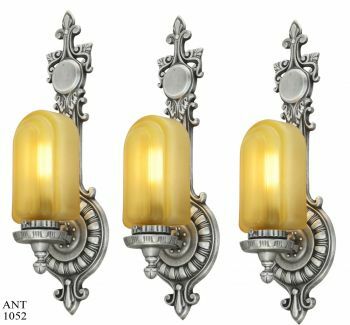 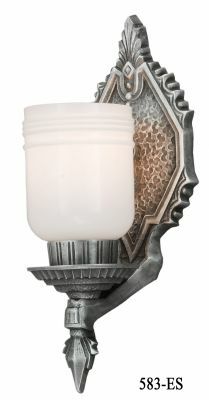 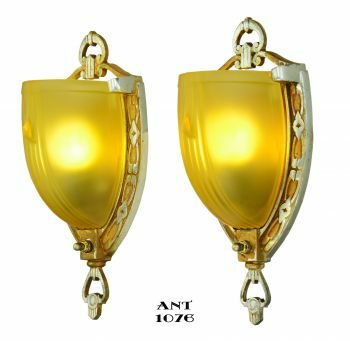 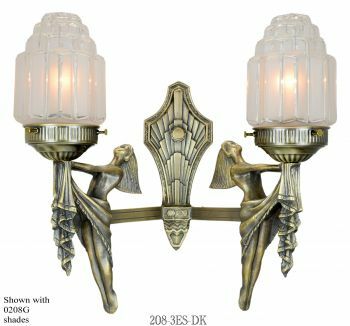 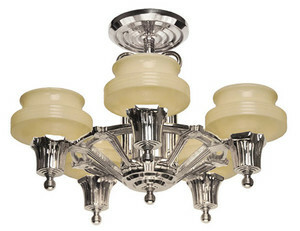 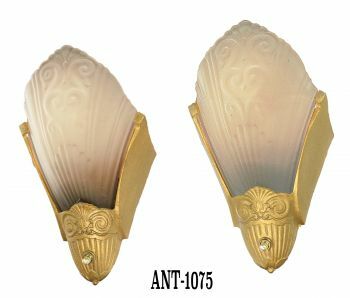 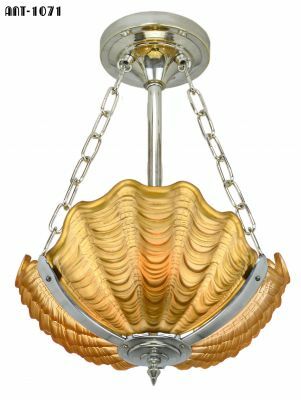 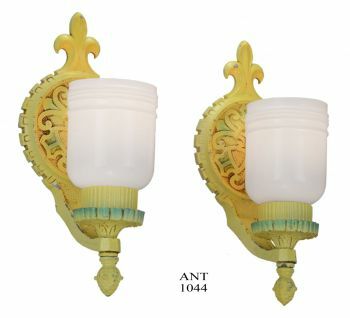 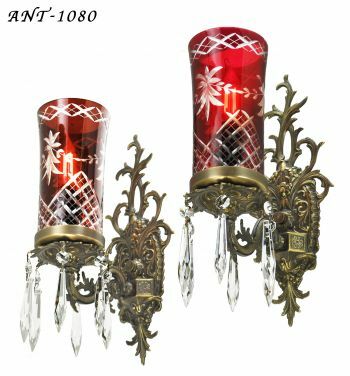 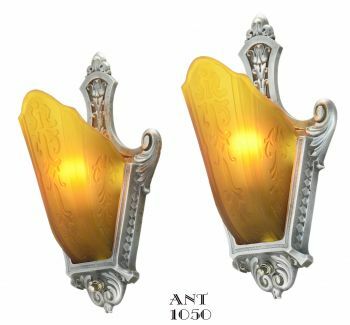 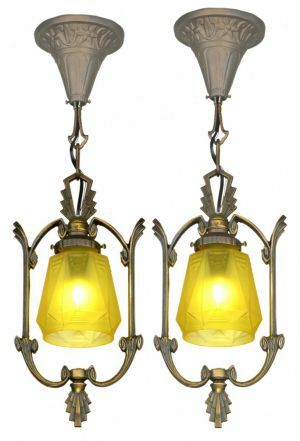 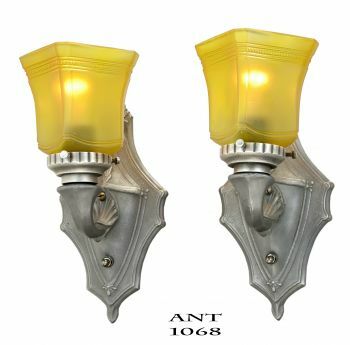 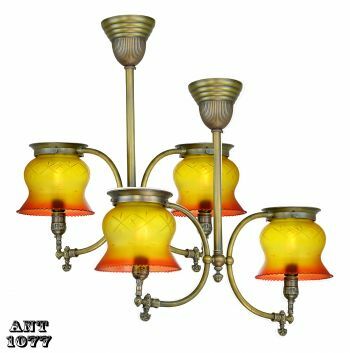 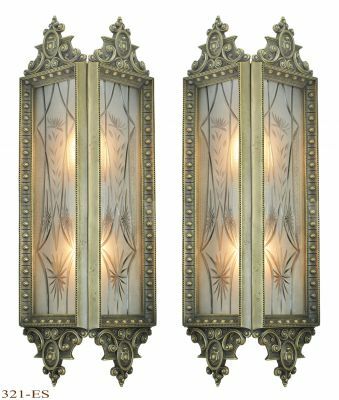 Just a true quality look used on the best late Deco fixtures and sconces. 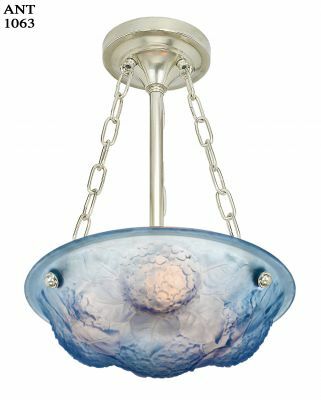 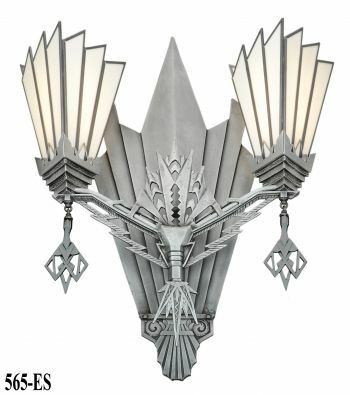 Our design fits most old Art Deco fixtures 95% of the time. 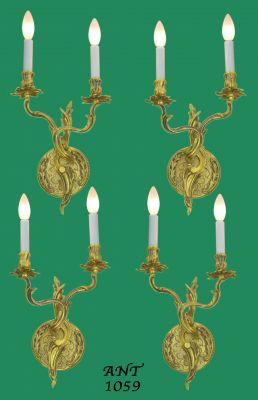 Overall height is 3 ½”, with ½” of that going into the fitter cup. Maximum diameter (thru the lined section) is 5 ¼”. 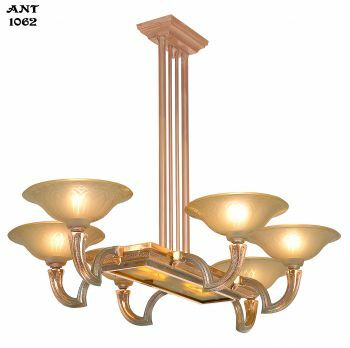 Fitter extension diameter is 1⁄16” under 1 ¾”, so the shade fits nicely into a 1 ¾” fitter. 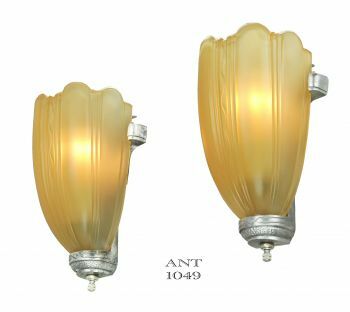 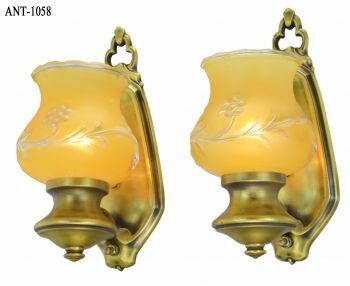 Please Note: This shade can even fit in a slightly larger fitter, because the base of the shade normally rests on the lip of a fixture fitter, and the shade is centered by the socket. 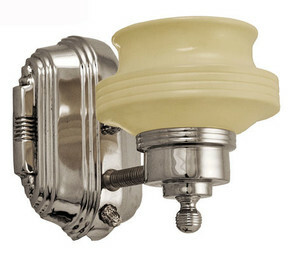 If you need either the correct bakelite socket or paper clad socket, we can also supply them. 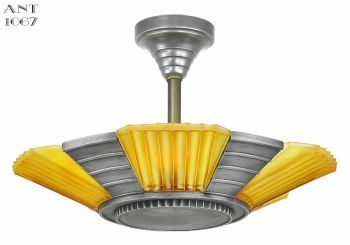 Call 360-379-9030 for parts. 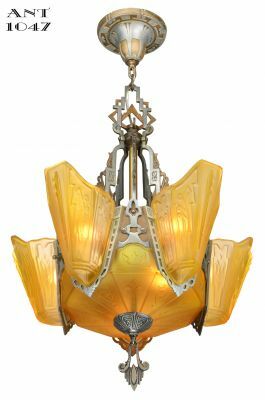 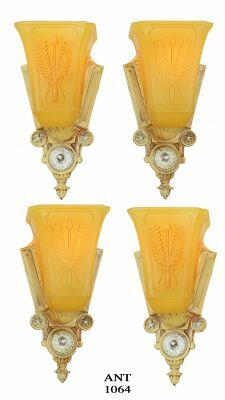 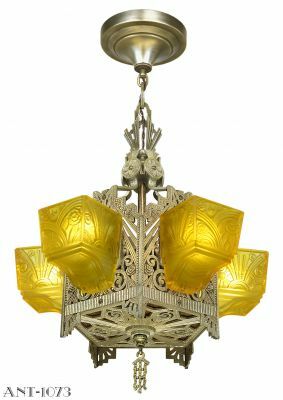 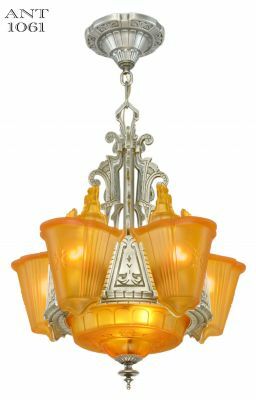 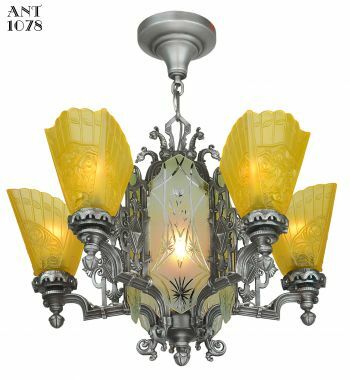 Pictured here also is our Streamline Modern Art Deco reproduction chandelier, showing these shades in use.